In this week’s edition of the Heartbeat Blog, we will continue our discussion on urinary tract infections, also known as UTIs. Our upcoming lecture series “Urinary Tract Infections in the Elderly” begins soon, so don’t forget to check our CNA courses to see when it’s up. Last week we learned about the common symptoms of a UTI in the elderly. It is most important to note that a change in mental status, confusion, or restlessness is a big sign of a urinary tract infection in the elderly. Patients who rapidly decline within a few days should be checked for a UTI. It is important for a CNA to know the symptoms of a UTI to help more quickly detect them and allow patients to get more prompt treatment. However, the CNA also has an important role in helping to decrease the likelihood of an elderly patient getting a UTI! There are a few ways that CNAs can help decrease the incidents of UTIs in long-term care facilities and hospitals. 1. Offering toileting assistance to patients every 2-4 hours. The elderly have a decreased sensation when it comes to a full bladder. Offering the bedpan or assisting patients to the restroom before they have an accident can help. Urinary stasis (infrequently urinating) is a common reason people get UTIs. Increasing the regularity of urination and ensuring proper hydration are key for decreasing the chances of a UTI. Drinking plenty of water ensures the urinary system is flushed out frequently, along with potential bacteria that could cause a UTI. Patients with urinary catheters are at an increased risk for a UTI. Providing appropriate catheter care and lots of hand washing can decrease the chance of the patient getting a UTI. This also includes ensuring there are no kinks in the urinary catheter, and ensuring that the collection bag is below the level of the patient’s bladder. By remaining vigilant and knowing the signs of a UTI, CNAs can help patients get more prompt treatment. 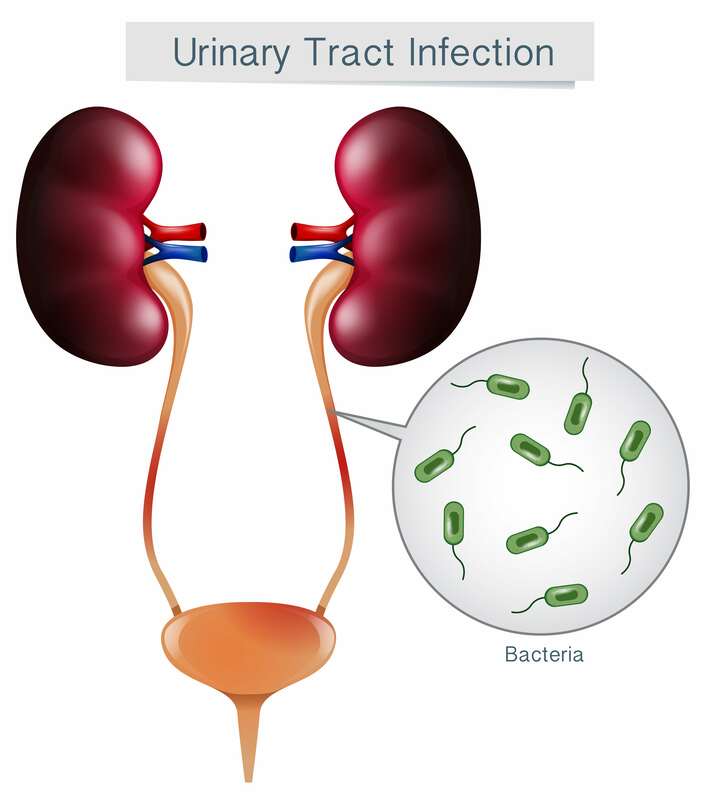 However, prevention is even more important to ensure the urinary tract infection never occurs. CNAs are at the frontline of ensuring patient safety and preventing infections. Give us a call at 510-452-1100 to learn more about our continuing education courses. Our courses will help prepare you for whatever being a CNA throws your way. CNA courses are available at our Oakland and Sacramento locations and are approved by the California Department of Public Health (NAC approved CE # 1187). You can also see what’s next in our CNA programs by enrolling in our continued education courses. Or you can give us a call at 510-452-1100 x 0 and we can sign you up today.